In a scathing indictment of the Vatican and its handling of the aftermath of the first La Messa Dei Giovani in April 1966, a new emotive book chronicles the well-known story from a formerly silent perspective; the founder of the band Angel and the Brains. “La Messa” was conceived to fulfil the desires of the Vatican II to make the Catholic Church more appealing to young people but, because of resulting bitter and vicious arguments within the church and the media, the Vatican took a course of action that was inconsiderate, hurtful and cold hearted. 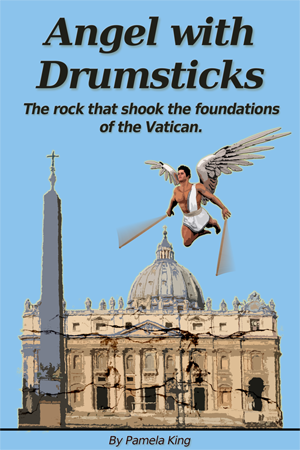 The story describes how these young musicians, who had responded to an invitation from the church to perform the first rock mass in Rome had their fledgling careers destroyed by the Vatican. The reader will discover that many articles written in recent years are wrong in their descriptions of what happened following La Messa and falsely acclaim the event as being a successful innovation of the Catholic Church at the time.